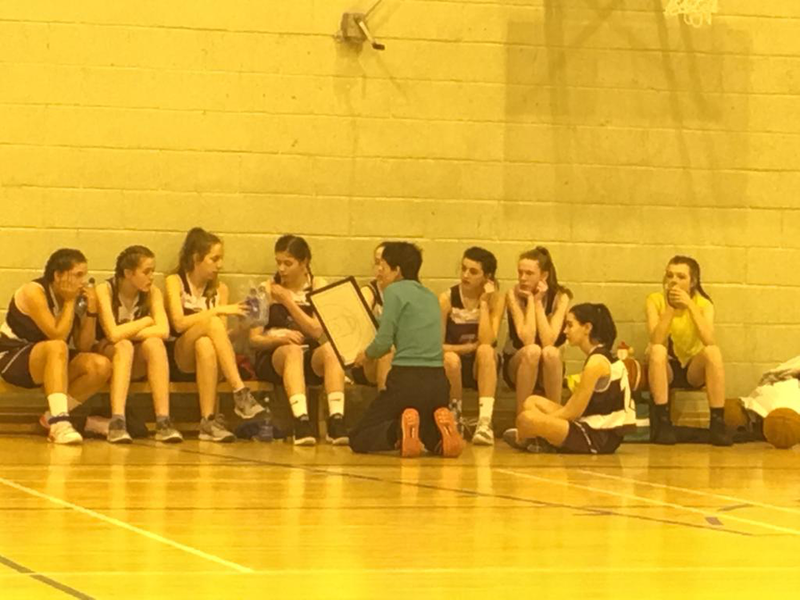 After a gruelling league campaign in the 'A' league, our fantastic under 16 girls team took on three of the best school teams in Ireland in Ballymahon, County Longford. Our mission was a place in the All Ireland finals and we went there feeling optimistic. The close battles we had undergone in the Rebel county had strengthened our resolve and determination to succeed. Some of the girls have also benefited from the wealth of knowledge they have gained from the Skibbereen Eagles club and the passionate David Quinn whose attention to detail is exemplary and the wonderful Pat Dwyer who has transformed Lia Hogan into a formidable talent. We also learned a lot from our game against Pat's amazing unbeaten under 14 squad who hit us with everything a genius coach can conjure and an intense full court pressure defence we have tried to emulate ever since. What is truly fantastic about Skibbereen, Union Hall and the villages that surround us, is their support for our teams when they reach an All Ireland and here in S.C.S, we really appreciate the support. On this occasion, parents, neighbours, friends and relatives all came together to make the long journey possible. I cannot speak more highly of the girls in this team. They make no excuses, never complain, have fantastic team spirit, work and train hard and makes things happen and they deserve the support that so many of you gave them. The scoreline of 55 to 18 in our first game against St Louis reflects the supremacy of our girls in our opening encounter. Here, we came bolting out of the blocks, took on board Pat Dwyer's advice and flung everything we had at the Mayo side in a full court press and the Western girls had no answer. Every member of our squad gave their all and even the drooping basket on the right side of the court had no effect on our performance. Clonaslee provided a sterner challenge and we had to step up our game in every respect. Captain Maria O'Mahony and the supremely talented Mallaidh O'Neill controlled the defence. Ellie O'Donovan, Aine MacCarthy and Lia Hogan were offensive threats throughout with Ellie putting in an inspired performance and top scoring Eabha Lucey, Niamh Connolly, Caoimhe Quinn and Kellie Lynch threw themselves into the challenge and played their part.But the effects of two games in a row was taking its toll on our side and some of our girls were showing signs of fatigue. With the energy draining from our limbs, Mallaidh stepped up and put in an amazing performance sprinting back and defending when others were weary. For all our brilliant effort, we were very glad to hear the final whistle blow giving us a 37 to 30 point victory. The final game was always going to be the decider and on paper, there was little between the teams except Ballymahon had home advantage and knowledge of the rather strange home baskets! We also knew they would pack the hall so our preparation had to be spot on. Ms O'Mahony had researched the correct food that should be eaten before matches and the girls were aware of it. Of course, hearing advice and taking it on board are totally different. Perhaps our choice of food before a big final left a lot short of what was required? One thing is for sure, our girls looked exhausted before the final match. Whether this was brought on by the long journey up the night before, the exhausting efforts of the day or the effects of all that saturated fat in the system , we will never know but we certainly did not hit the court running and some of our best players were unable to play. Ballymahon raced into a comfortable 17 point lead and our girls didn't really get going until the second half. The lethargy of the first half contrasted sharply with our play in the second half and like we have done all season long, we came roaring back into the game. Mallaidh and Lia were paramount to our recovery and both girls played sensational basketball, refusing to die down with every cell in their system. Early in the fourth quarter, we had torn the home sides lead apart and reduced it to a shred. A mere 4 points separated the sides and the crowd were a hushed force now, a nervous tension palpable. But the full court pressure left a toll on our fouls and the loss of Maria was a hammer blow to our side. 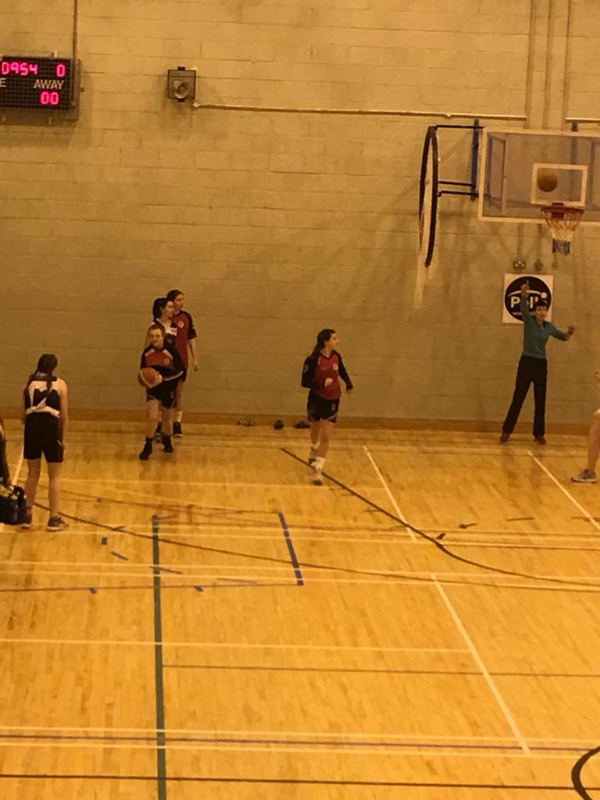 More girls were fouled out leaving our side a spent force and Ballymahon stretched their lead to ten points roared on by a passionate home crowd. 'We win or lose within ourselves, giving all, it seems to me is not so far from victory'.